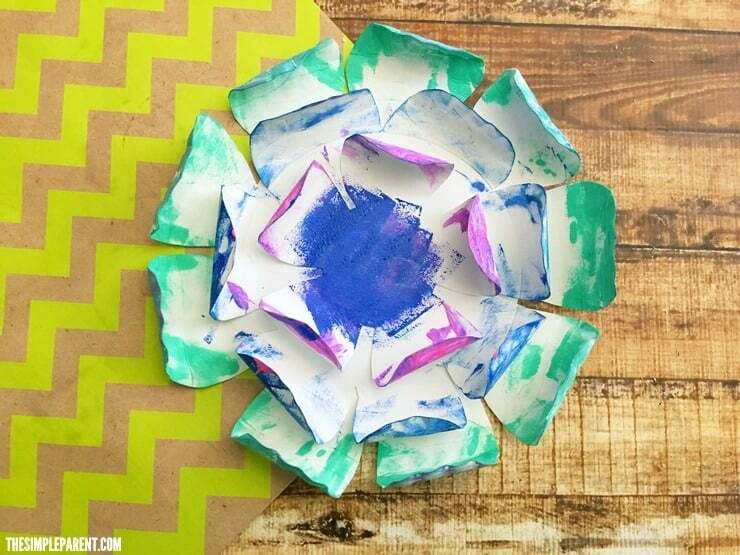 Home » Crafts & DIY » Make a Paper Plate Flower Craft and Grow Your Own Garden! Spring has sprung which means it’s time for fresh craft ideas! I’ve been a huge fan of paper plate crafts since my days teaching in the classroom and they’re just as fun to do with my own kids now. 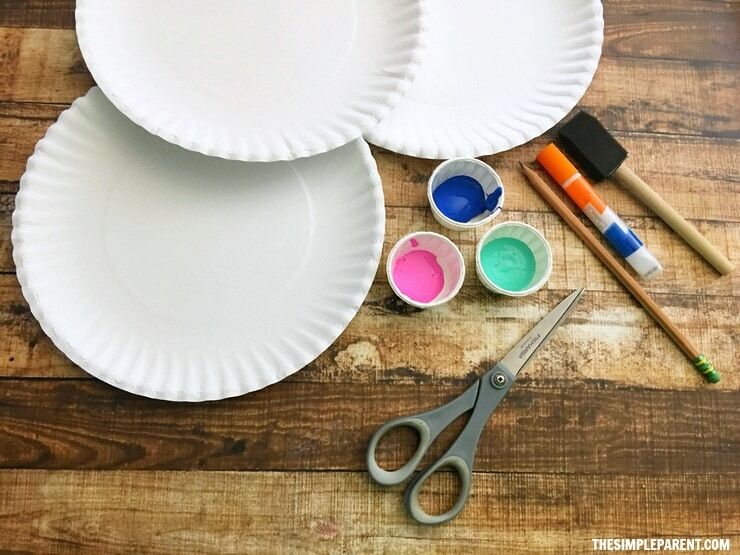 Paper plate crafts are usually very easy to make which makes them great for busy families looking to spend a little creative time together. Our paper plate flower craft is perfect for this time of year and simple to make together! 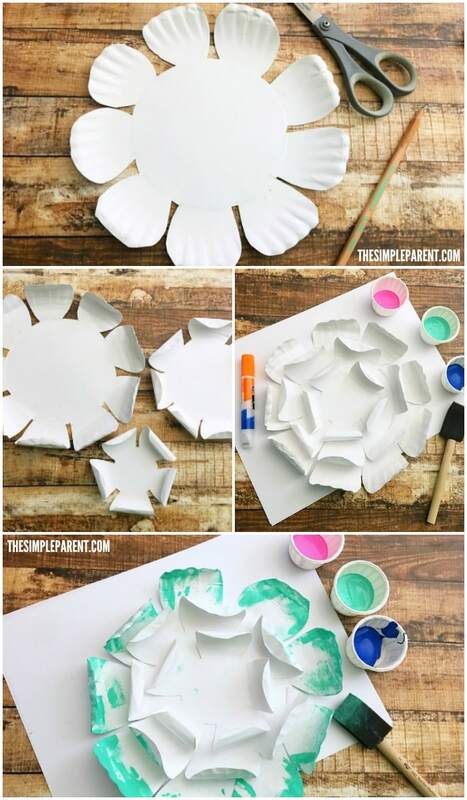 My favorite thing about our paper plate flower craft is that it’s great to make for spring, Mother’s Day, end of year teacher gift, and into summer! There’s no wrong time to turn a paper plate into a flower, right? There are also some fun children’s books you can read together to tie your craft into your reading time together. I’ve included some affiliate links to some of our favorites at the bottom of the post, so check them out! 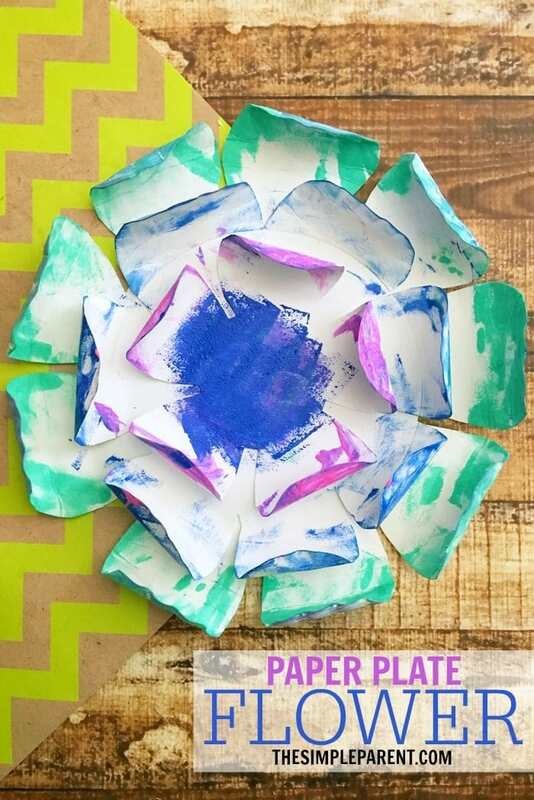 Draw large flower petals around the edges on each paper plate. One one plate draw the petals along the very edge On the next one draw them closer to the center and on the third plate draw them even closer so you get a small, medium, and large flower shape. Roll each petal around a pencil to make the petals curl. Glue the center of your medium sized flower onto the large flower. Glue the center of the small flower onto the medium sized flower. Dip your foam paint brush into your first color paint and begin dabbing it onto the edges and petals of your largest flower. Switch colors for the medium and small sized flowers. Let your flowers dry and hang around the house or make a garland from them! These are so easy to make and so easy to customize too! Let the kids choose what colors the use for their flowers! It can also be a fun way to talk about primary and complementary colors if you’re looking for a little teaching moment while being creative together! And here are some of our favorite books about flowers that go along great with this paper plate flower craft!